Tex Mex Brunch, and it’s so easy to make. 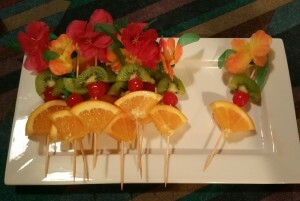 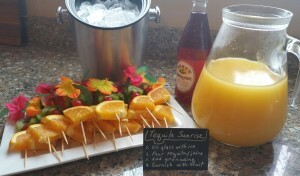 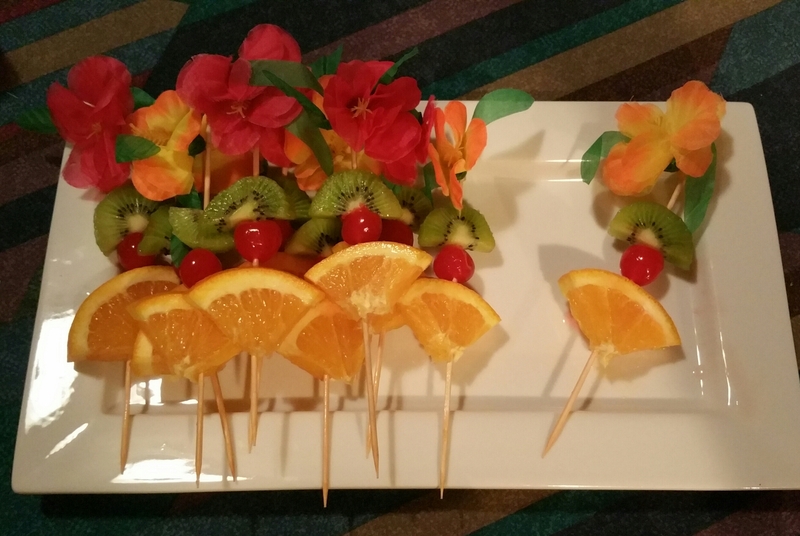 oranges, added some maraschino cherries, and skewered them with some tropical toothpicks. In a large pitcher, I mixed 2 cups tequila and 4 cups orange juice. 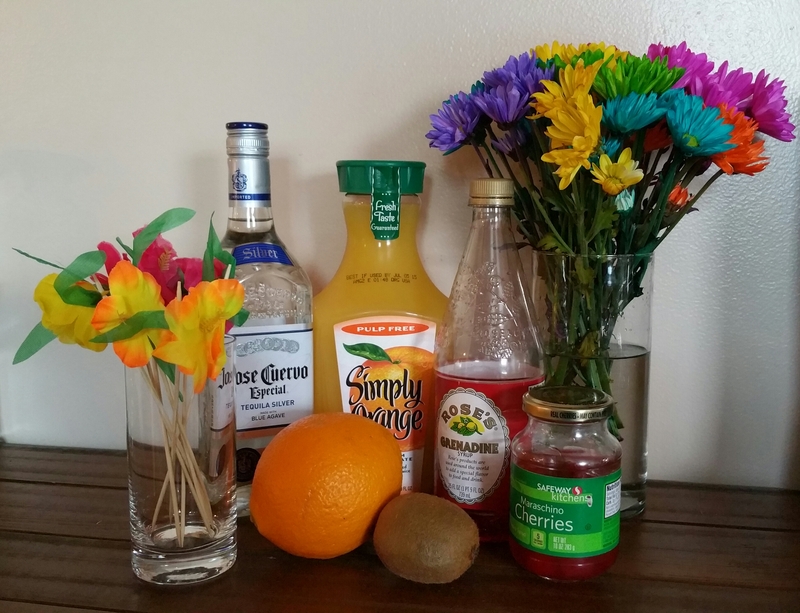 Whether you mix per glass or in a larger container, just use twice as much orange juice as tequila. 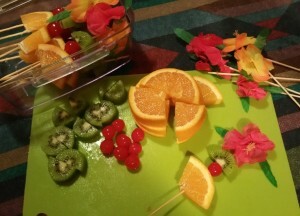 Then I set out the pitcher, the skewers, ice and the grenadine and made a sign so people knew how to mix it themselves. 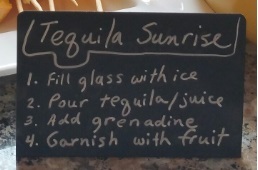 NOTE: Remember not everyone drinks alcohol, so have a separate pitcher with just orange juice to make Virgin Tequila Sunrises, but be sure to label these very clearly so everyone gets the drink they want.